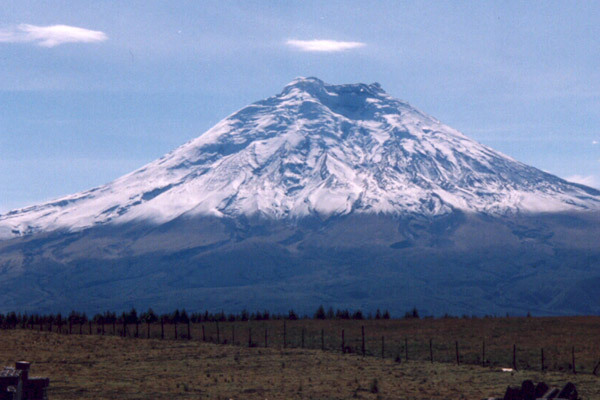 We begin our tour by traveling south through the avenue of the volcanoes to the Cotopaxi National Park. This was the first national park of Ecuador and it is home of the Cotopaxi volcano, one of the highest active volcanoes in the world. With it's perfectly shape cone and snowed peak, the sight of this giant if surely one of the highlights of your journey. The park is home to countless species of plants and animals like the endangered Andean Condor. 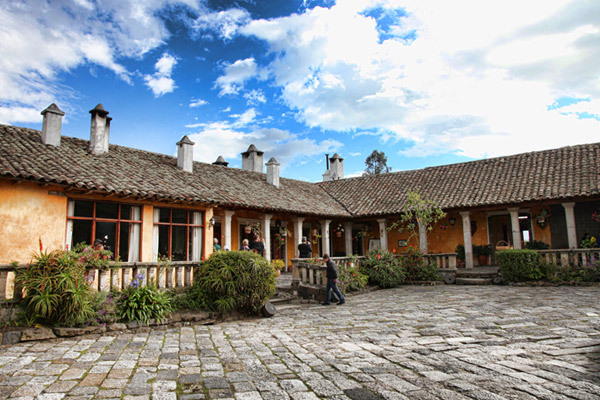 After our visit we will have lunch at a traditional Andean Hacienda. After lunch we will continue driving south to the city of Riobamba, one of the most important cities during the first days of the republican era. Riobamba was the first city to be established by the Spanish conquerors and was the place where the first constitution of Ecuador was created. After breakfast we will continue driving south to the train Station of Alausí. On our way to Alausí we will visit the church of Balbanera. 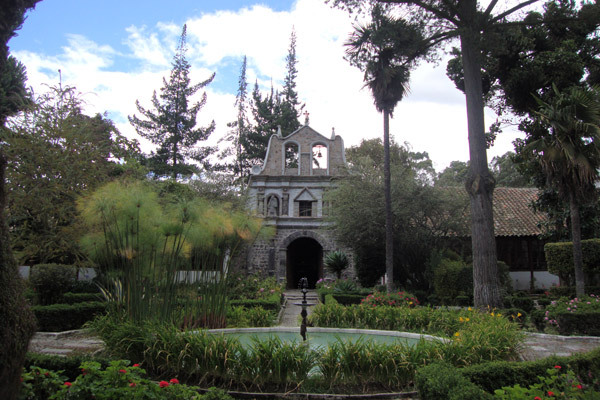 Enduring the pass of time, this is one of the oldest catholic churches in Latin America built by Sebastian de Benalcazar in 1534. 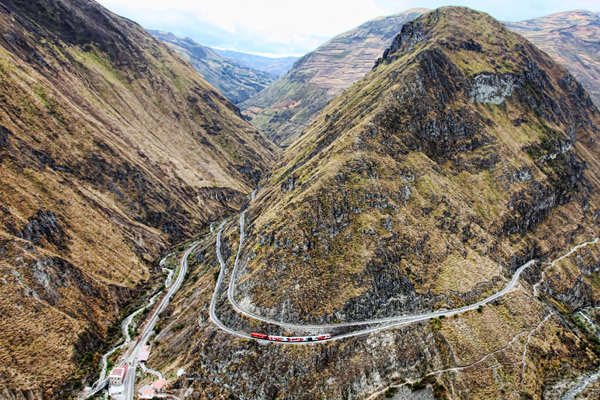 At Alausí we will board the train for a thrilling adventure a 45-degree descent by a zigzagging railway built in the ledge of the Condor Puñuña Mountain known as La Nariz del Diablo. This engineering achievement finally allowed to connect the coast with the Andes region and brought a new era for the republic of Ecuador. After this thrilling ride we will continue to the Ingapirca archeological site. This complex is perhaps the best preserved testimony of the Inca occupation. On this site you will be able to admire the famous Inca stone walls and the precision on the cuts of the stone that formed these walls. We will continue our trip to the city of Cuenca where we will have dinner and spend the night. After breakfast we will visit the city of Cuenca. 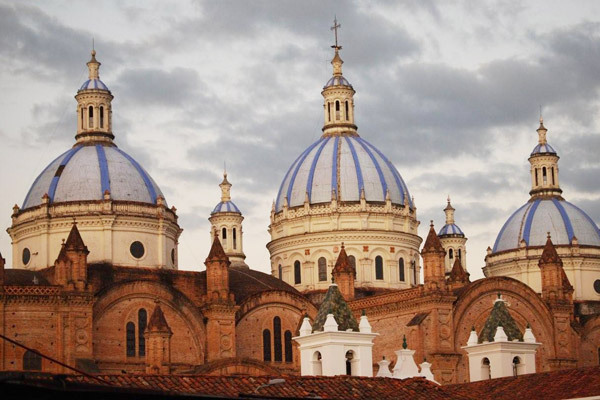 This marvelous city, declared as World Heritage Site, is one of the most beautiful cities in Ecuador, surrounded by four different rivers and with a republican architecture embodied in its homes with tile roofs and cobblestone streets, Cuenca will dazzle you. 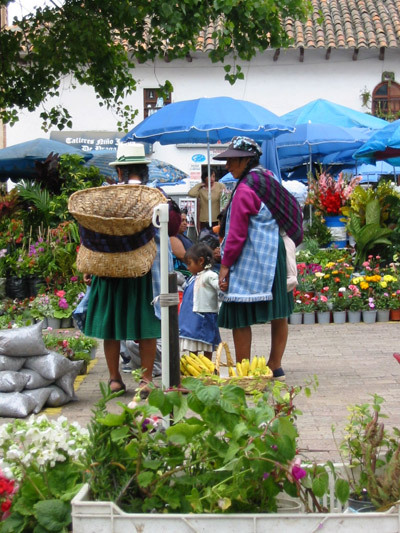 Visit the plazas and colorful markets where you can find the unique and rich culture of the south of Ecuador. We conclude with your transfer to the airport and flight to Quito.